Having a deep respect for tradition allows Steve Pedone and Maxx Starr to blend the old school with the new and help tattooing adapt to modern times. “Our goal [when we bought Fun City] was to be very respectful of the shop’s history, while carving out our own niche within the industry,” explains Maxx. Big Steve at Fun City Tattoo in New York City. Photo by Evan Hunter McKnight. "Our goal is to make our clients happy. No ego, no attitude, just a good positive mental attitude with a hint of sarcasm." Born and raised in Queens, New York, ‘Big Steve’ Pedone’s roots in the tattoo industry trace back to his apprenticeship with Jonathan Shaw at Fun City NY where he has been tattooing for 15 years. Having left his permanent mark on a number of today’s most well known celebrities, Big Steve has come to be recognized as one of the top, and easily most versatile, tattoo artists in the world. Maxx Starr at Fun City Tattoo. 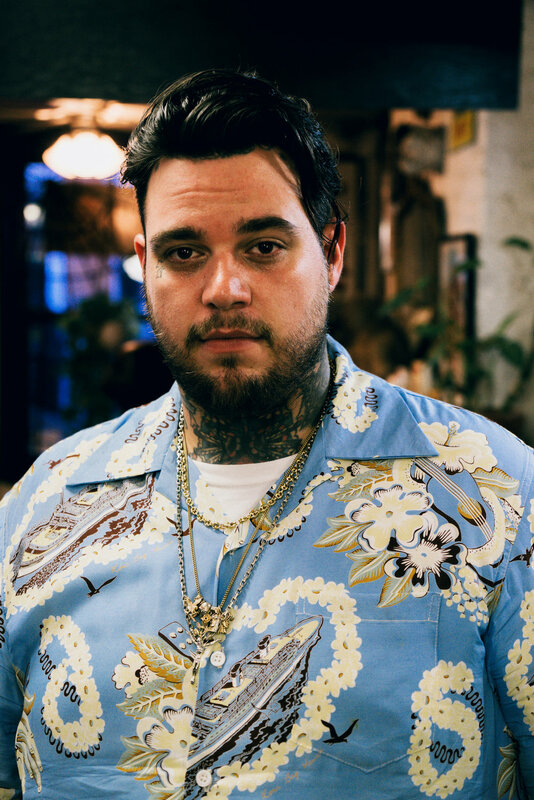 A New York City artist and entrepreneur, Maxx Starr’s co-ownership of Fun City Tattoo is founded in his deep respect for the shop’s treasured history and spirit. His new book Freedom, Told Through Line and Color takes the reader out for a night in New York, unpolished and authentic. Punctuated with bursts of color, the primal hieroglyphs illustrate the journey while the text sings accompaniment—bright, happy and positive. His personality, much like his artistic style, has created a narrative style that he refers to as visual jazz.